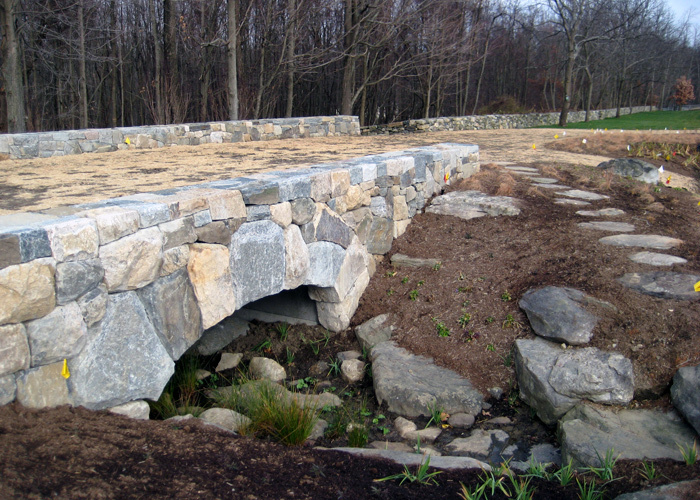 The project developed around the need to cross a stream and pondscape with a poured in place bridge based upon an aggressive construction schedule. 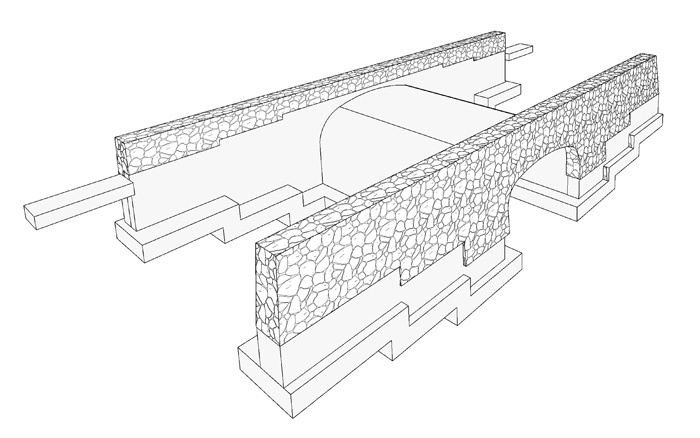 The system developed using the three-dimensional modeling, combined the site and design data into a poured in place concrete bridge reminiscent of the English countryside. 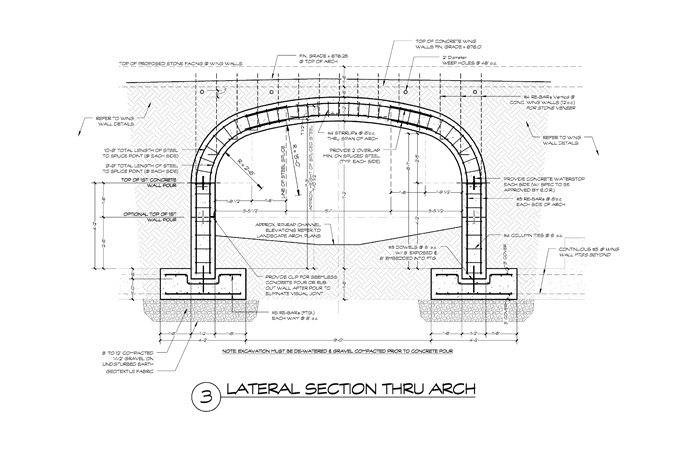 Stone finishes along the exterior and within the sloped arch mimic the simple structures of the 1800’s while supporting extreme crane loads necessary to plant full size trees across the site. 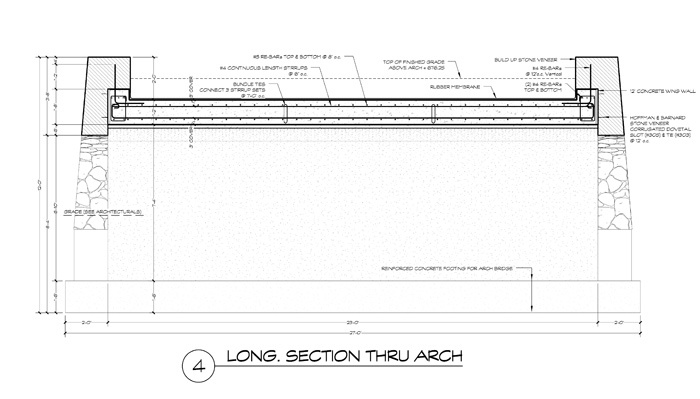 Services included site planning, structural design and landscape detailing.